Nostalgic and collectible! Makes a perfect gift for any DC Universe fan! 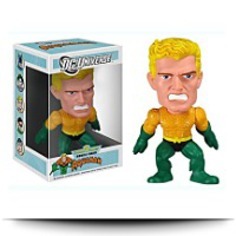 Officially licensed DC Universe merchandise from DC Comics. Super-derformed and ultra-stylized with articulating arms! 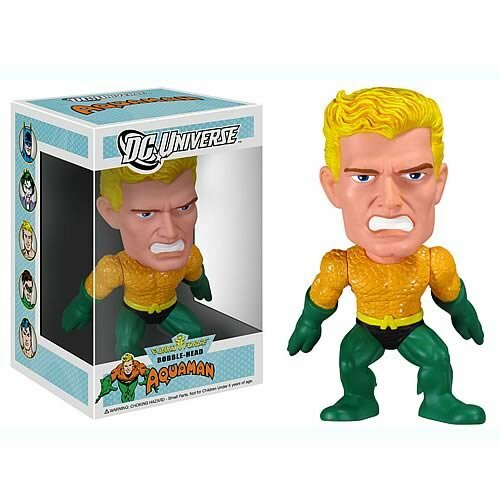 This super-deformed ultra-stylized Aquaman Funko Force bobble-head may possibly be the perfect addition to your DC Universe collection. With articulated arms, you choose the pose for maximum impact and enjoyment. Recommended for ages 5+. This bobble-head stands around 5-3/4-inches tall and is the perfect gift for any DC Universe fan and collector!